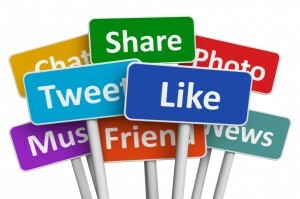 Why Do Small Businesses Need Social Media? Small businesses have a hard time getting the resources to get their act together on social media sites. While they may put up a Facebook page, or decided one time to get a Twitter account in place with one or two Tweets, or possibly know about Google Plus, it is not common that they have the time or resources to put all these things together and get them to work for them. Social media resources like LinkedIn, Flickr, and Pinterest can be used in targeted ways to reach a much broader audience for their services and products. Recently, The Guardian wrote about how to capitalize on social media, depending on your company, product, market, and circumstances. It is important to know who you are trying to reach and to use social media to help grow your business. Another problem is that many small businesses who start this process do not keep it up. Let’s face it, it is a full-time job to keep posting, tweeting, liking, sharing, and making sure addresses, information and everything is up to date on all of our Social Media sites, both personally and professionally, and most likely, with a small business the owner or one person, who already has a full-time job, is the one responsible for all of this. It is important to keep in mind that like anything else in business, it is the determination and the attentiveness that will pay off. Keeping these accounts updated, even if it is not with original content or information, is what will keep your site active and recognized in the eyes of the digital world. In order to keep your business current, relevant, and active, you need to remain as diligent with your Social Media accounts as you do with your accounting, or client list, or e-mail campaigns, or any other part of your business that you consider to be a successful venture. It is a great way to advertise a promotion, or give advanced notice of an upcoming event or product release. Use social media to create this buzz about your business, your products, and your services. Calendar a reminder to help you with the timing of your posts if it helps, or write it in your day planner (if you still have one of those dinosaurs), anything to help you remember the importance of keeping your Social Media a priority for your business. Just think, by this time next month, or even next week, you could have 5-10 active Social Media accounts bringing you business simply by virtue of the fact that you will appear in internet searches where your business was not active previously. Think of what good that will do your business, and just from a few minutes of posting, tweeting, cutting and pasting, typing some words, talking about your business, sharing your thoughts, and putting your business out there. You can do it. You can do Social Media and run your business too!